Cleveland Browns: Baker Mayfield, QB Oklahoma. New York Giants: Saquon Barkley, RB Penn State. New York Jets: Sam Darnold, QB USC. Cleveland Browns: Denzel Ward, CB Ohio State. Denver Broncos: Bradley Chubb, Edge N.C. State. Indianapolis Colts: Quenton Nelson, OG Notre Dame. Buffalo Bills (from Tampa Bay): Josh Allen, QB Wyoming. Chicago Bears: Roquan Smith, LB Georgia. San Francisco: Mike Mcglinchey, OT Notre Dame. Arizona Cardinals (from Oakland): Josh Rosen, QB UCLA. Miami Dolphin: Minkah Fitzpatrick, DB Alabama. Tampa Bay (from Buffalo): Vita Vea, DT Washington. Washington Redskins: Da’Ron Payne, DT Alabama. New Orleans Saints (from Packers): Marcus DavenPort, DE Texas-San Antonio. Oakland Raiders (from Arizona): Kolton Miller, OT UCLA. Buffalo Bills (from Baltimore): Tremaine Edmunds, LB Virginia Tech. Los Angeles Chargers: Derwin James, SS Florida State. Green Bay Packers (from Seattle): Jaire Alexander, CB Louisville. Dallas Cowboys: Leighton Vander Esch, LB Boise State. Detriot Lions: Frank Ragnow, C Arkansas. Cincinnati Bengals: Billy Price, C Ohio State. Tennessee Titans: Rashaan Evans, LB Alabama. New England (from L.A. Rams): Isaiah Wynn, OG Georgia. Carolina Panthers: D.J. Moore, WR Maryland. Baltimore Ravens: Hayden Hurst TE, South Carolina. Atlanta Falcons: Calvin Ridley, WR Alabama. Seattle Seahawks (from Green Bay): Rashaad Penney, RB San Diego State. Pittsburgh Steelers: Terrell Edmunds, S Virginia Tech. Jacksonville Jaguars: Taven Bryan, DT Florida. Minnesota Vikings: Mike Hughes, CB Central Florida. New England Patriots: Sony Michel, RB Georgia. Baltimore Ravens (from Philadelphia): Lamar Jackson, QB Louisville. 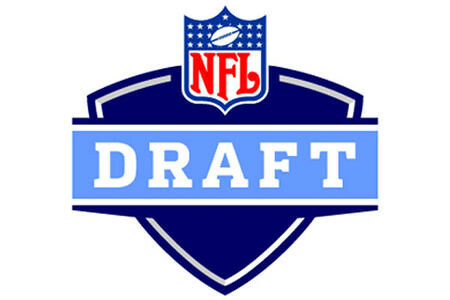 While the first round of the NFL draft is complete, there is still first round talent available in the second round. Players the Denver Broncos should target in the second round.